Barry ‘The Fish’ Melton… plus The Green Ray! On Friday 22nd September – the week before Malc’s gig on Saturday 30th – The Green Ray will be supporting Barry Melton at The Stag’s Head in Hoxton (London N1 5RA). With a fantastic new Green Ray album out, this should be a memorable night. It’ll also be a chance to buy a CD of the album! Barry ‘The Fish’ Melton, who is headlining, is of course the co-founder and original lead guitarist of the legendary Country Joe and The Fish. 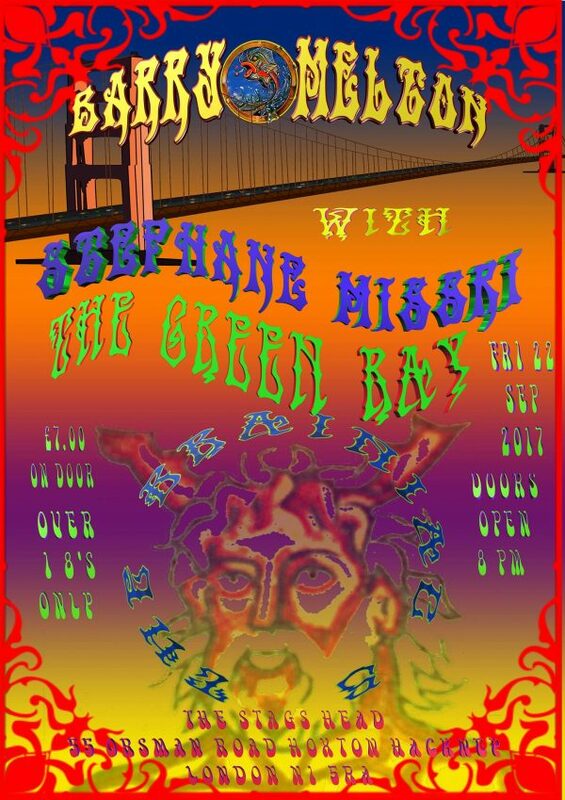 Barry will be playing the gig as a duo with French singer Stephane Missri. They also have an album out, entitled ‘Revolution Down The Road’. This entry was posted on Friday, September 8th, 2017 at 2:05 pm	and is filed under NEWS. You can follow any responses to this entry through the RSS 2.0 feed. Both comments and pings are currently closed.